On October 20th, Presley Barker will be performing with two of his mentors, Wayne Henderson and Steve Lewis. 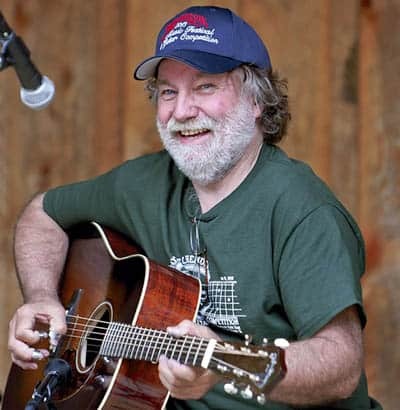 Wayne Henderson’s top-notch finger-picking is a source of great pleasure and pride to his friends, family and neighbors in Grayson County, Virginia. His guitar playing has also been enjoyed at Carnegie Hall, in three national tours of Masters of the Steel-String Guitar, and in seven nations in Asia. In addition to his reputation as a guitarist, Henderson is a luthier of great renown. He is a recipient of a 1995 National Heritage Award presented by the National Endowment for the Arts. He produces about 20 instruments a year, mostly guitars; he is almost as well-known for the mandolins he has made. By day, Steve Lewis is a commercial/residential painter, by night and every weekend, a national guitar and banjo champion. He still lives in Todd, the small mountain community near Boone where he grew up. Steve lives with his wife, DeAnna, and their children, Josh, Scott, and Molly. Just before his third birthday in 1967, Steve held his first guitar. More than forty years later, he is still picking. By the age of seven, he was listening to his father’s albums, the radio or watching musicians on the television. 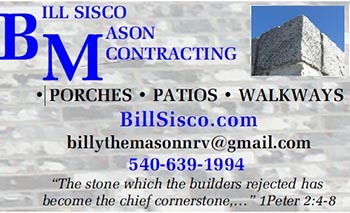 Influencing Steve during this time were Tony Rice and close-by neighbor in Deep Gap, Doc Watson. Not only did Steve spend his time picking the guitar, but by age ten he began playing the banjo. This self-taught picker’s heroes included J.D. Crowe, Earl Scruggs and Tony Trishka. His father still enjoys telling the stories of “hauling” Steve around the Boone area to pick for everyone who would listen. 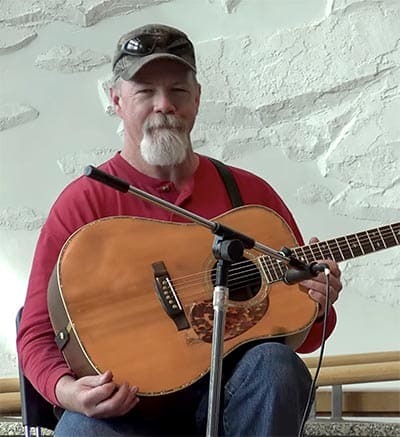 From entertaining at the local restaurants to playing at nearby Lees-McRae College, Steve fascinated people who enjoyed seeing this wonder boy with a guitar bigger than he was, playing favorites like Foggy Mountain Breakdown. In 1976, he played for the Daniel Boone Cloggers and performed for many at Opryland in Nashville, Tennessee. His first professional gig was as a member of Tommy Faile band. Steve also played in the noteworthy band, Vintage Blend, and its successors, Ric-O-Chet and Last Run. During his tenure with Ric-O-Chet, the band had a hit, “My Last Run,” written by Willard Gayheart, that was on the national bluegrass charts for four months. 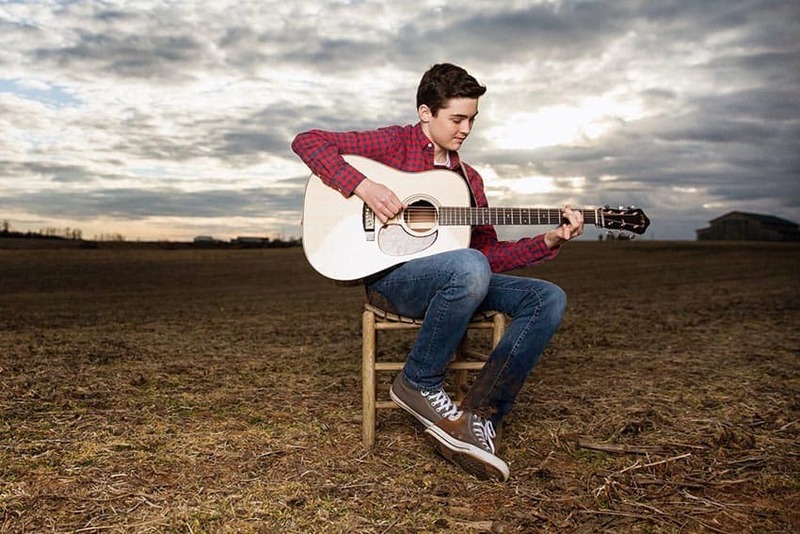 Lewis has traveled throughout much of the United States performing and winning contests that have included RenoFest, Galax Old Time Fiddlers Convention, MerleFest, and Walnut Valley. He currently holds the title of Walnut Valley National Bluegrass Banjo Champion, and he placed second in their guitar competition. Despite his many honors, Lewis, a genuinely modest man, makes light of being an award-winning musician and a true champion, and he quickly deflects the praise and recognizes others. The Floyd Country Store looks forward to an evening of world-class musicians that are proud to call our area home.